Furuno GP1670f has an average rating of 2.33 out of 5 based on 3 user reviews. The Furuno GP1670F represents the entry-level offering of Furuno’s fishfinder/chart plotter combo systems. It offers a lot of the advanced features found in the more expensive models. 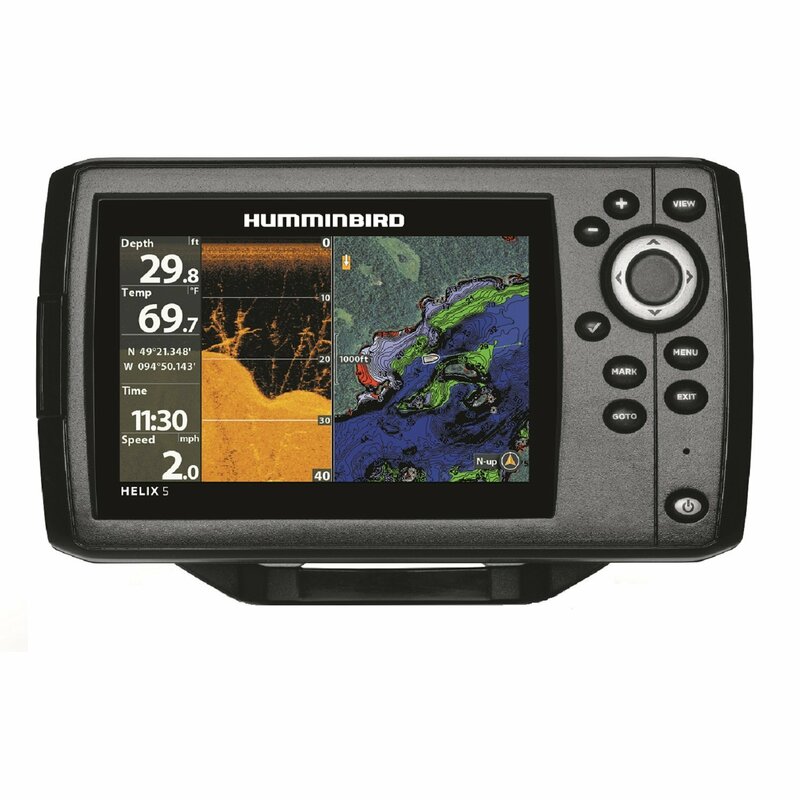 The unit is targeted at boaters who want the combination of accurate GPS/WAAS (Wide Area Augmentation System) performance and enhanced chart plotting and fish finding capabilities. The GP1670F supports 600W or 1kW transducers and introduces a host of software features that enhance sonar output. Post-Processing Gain Control allows you to view changes to the gain setting immediately for all returns on the screen, making it easier than ever to dial in your fishfinder for local conditions. The White Line feature shows you fish lying on or near the bottom. The Bottom Discrimination feature provides information about the sea floor composition which is shown in four categories: gravel, mud, rock or sand. Additionally, the Furuno GP1670F comes with the Accu-Fish feature, which assesses the size of the fish. The unit can detect a 4-inch to 6-foot fish in depths of 7 to over 300 feet of water. Providing crystal-clear images on the Furuno GP1670F is the TFT color LCD screen, which has a resolution of 640 by 480 pixels. Also, with 800 candelas per square meter, the device’s screen is rather bright. The diagonal size of the screen is 5.7 inches. The display is bonded to make sure that it does not fog up. The Furuno GP1670F is compatible with C-MAP 4D, a chart system from Jeppesen. It is useful for providing vector chart content and dynamic raster chart presentations. Also available from C-MAP 4D are 3D views, exclusive Easy Routing and satellite images. You can get a great deal on Furuno GP1670f here. I have bought the furuno 1870 6 months ago and I have to send it twice to warranty. First it was the display and the second time it was the manual range that did not work. So I really do not recomend the unit. I didn’t have any problems with this unit unlike Luis. It’s been rock solid for me. In fact this unit seems to be very well made and it’s heavy for it’s size which is a good thing with electronics. What I also like about it is the easy of use, you don’t have to spend hours interpreting what you see on the screen. The fish are marked with fish icons and you can see their approximate size. It also shows you clearly the bottom type (mud vs gravel) which is useful when anchoring. I was slightly disappointed with the 4d charts, I don’t find them very useful. Most of the time I use traditional 2d charts. I bought this unit 2 years ago. I haven’t located the chip for it yet. I hate it. I use it every day for work. There are many days it won’t find a singnal and it will effect my other gps when it’s having problems. The map is usless without the chip. I use the lat and long when I can get it to work. It’s having another problem now where I can’t switch to some of the options. I’d send it in mabey to get it fixed but I’d have to get another sounder for work. So for me it hasn’t been reliable and finding the chip for it is difficult as well.